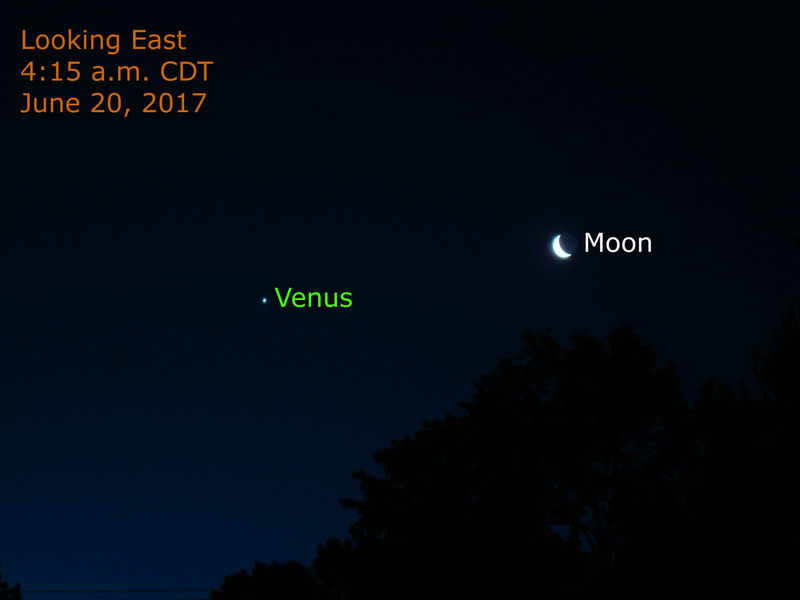 Brilliant Venus and the waning crescent moon sparkle in the eastern morning sky this morning. The two are about 7.5 degrees apart. Notice the night portion of the moon, It is gently illuminated by sunlight reflected from planet Earth: Earthshine!